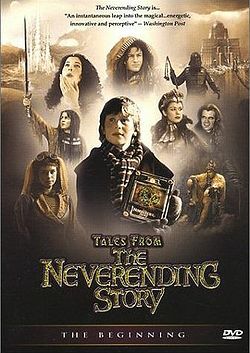 Spoiler-free Synopsis: Bastian tries to figure out who stole $63 from his locker at school, while in Fantasia Atreyu and his new friend Fly Girl try to find the Southern Oracle, which they hope will tell Atreyu how to heal the Childlike Empress. Reason for Beginning: I know, I know I said I wouldn’t watch any more of these after the catastrophe that was the first episode, but I saw that my On-Demand service had replaced Episodes 1-4 with 5-8, and I decided to try again. Which does mean that I have not seen episodes 2, 3, and 4. So in lieu of the fact that I cannot judge how the story has developed thus far, I will try to go a little easier on this episode. Reason for Finishing: I think I finally learned to grin and laugh at the campiness this time around. It’s still terribly made, terribly acted, and just plain terrible on so many levels, but I have to admit that some parts were distinctly enjoyable in spite of themselves. Episode Re-viewability: Maybe a little, for the entertaining overacting of two of the side characters. Copying "The Lord of the Rings" much? Spoiler-free Synopsis: Wherein Bastian Balthazar Bux, a young boy who loves books, experiences the tragic death of his mother and an increasingly awkward relationship with his father. Meanwhile, he finds the magical book The Neverending Story, the story of which begins to seem suspiciously similar to a bizarre dream he had. Reason for Beginning: I saw it available free on On-Demand, and since I’m a fan of both Michael Ende’s novel The Neverending Story and the 1984 film of the same name, I thought I’d give it a whirl. Also, I’d never heard of this adaptation before, and was morbidly curious as to what a low-budget Hallmark TV adaptation of the inspired fantasy epic would look like.